Pandae Workshop Solutions offer a comprehensive range of products to assist professional workshops run efficiently and effectively. From active reception to special tool room equipment, racking to keep warranty parts properly stored and lockers to ensure your staff have a place to store their personal belongings. 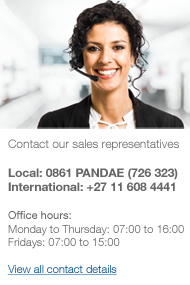 Pandae have taken an active interest in developing and sourcing these important products for all the areas behind the sales area.